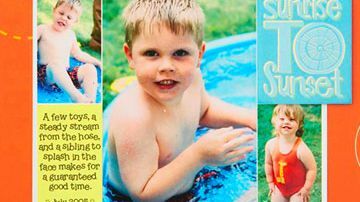 Let recipes and family traditions find their way into your scrapbook pages. Learn a new digital technique or brush up on your digital scrapbooking skills with simple pages you can create on your computer in no time! 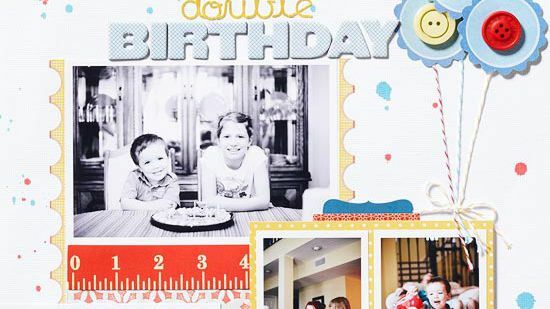 Our tested step-by-step directions for all-digital scrapbook pages make it easy. 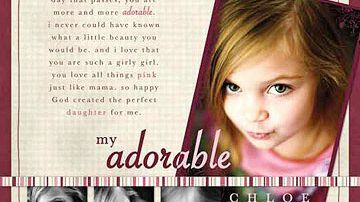 To craft a layout about your daughter that's as sweet as she is, take a page from these pretty digital designs. 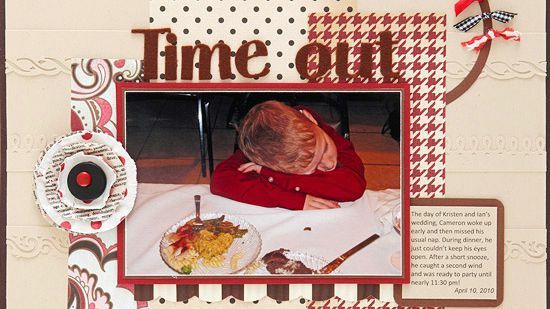 Download our free square digital templates and make photo collages for your scrapbook pages. Download our free shaped digital templates and make photo collages for your scrapbook pages. 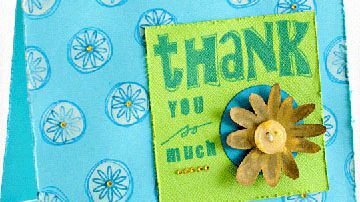 Show someone your appreciation with one-of-a-kind thank-you cards made from scrapbook supplies. 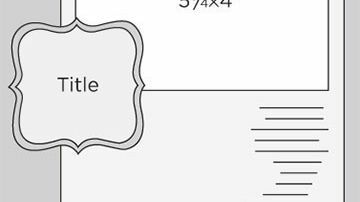 Make quick-and-easy cards using our free downloadable collage templates. 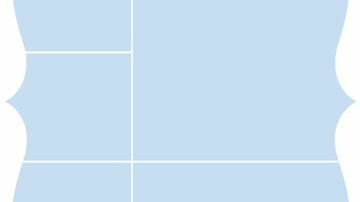 Record 25 days of Christmas in a flash. Browse Ali Edwards' 2008 December Daily album, and find out how you can take the challenge this year! 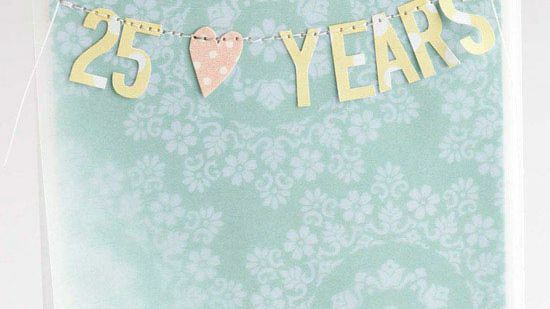 Creative card ideas celebrate a special anniversary. Celebrate Baby with an easy-to-make mini album you can keep for yourself or give as a gift! Go beyond paper scrapbooking with an easy-to-make canvas album that is perfect to give as a gift or keep for yourself. 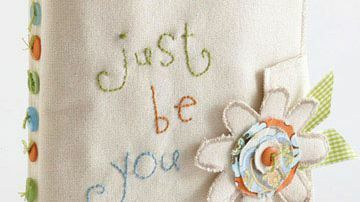 Add blooms of style to your scrapbook pages with one-of-a-kind flower embellishments you can make yourself. 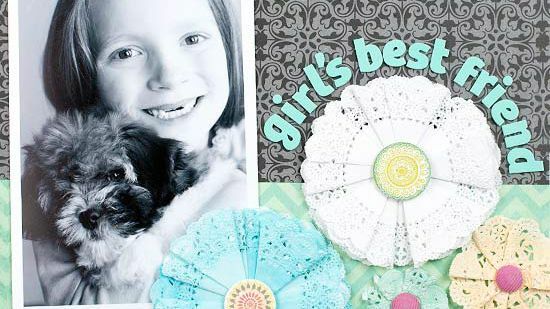 Learn quick and easy ways to enhance scrapbook pages with die cuts. 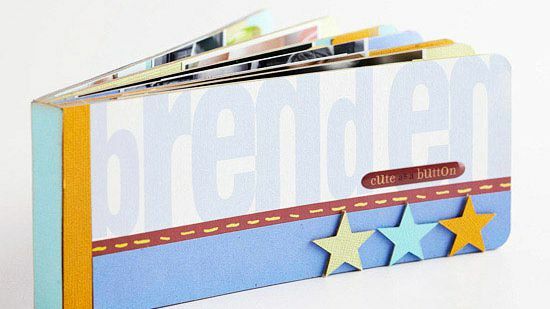 From simple accents to pretty titles, die cuts are perfect for making creative pages in a snap. 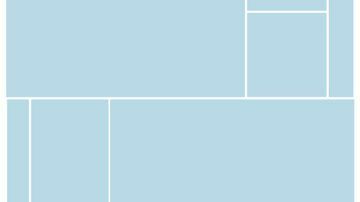 Count your blessings with our free downloadable paper-piecing patterns. 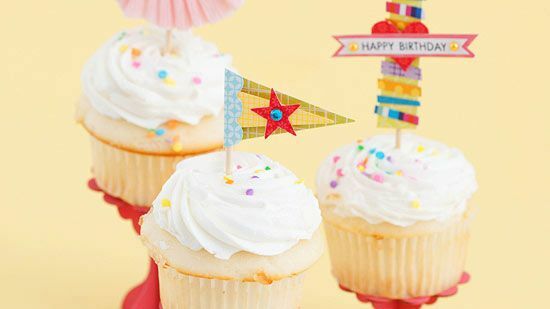 Cupcake toppers are all the rage these days. Use these cute patterns for any occasion worthy of dessert! 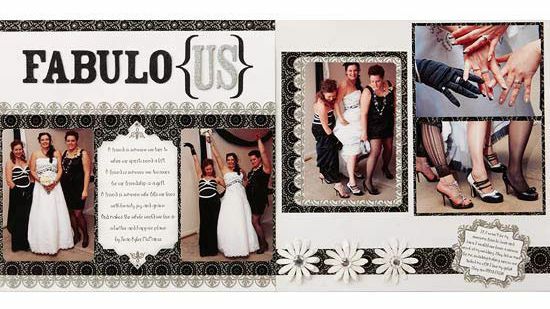 Use the special photos from your wedding day to create lasting memories on your scrapbook pages. 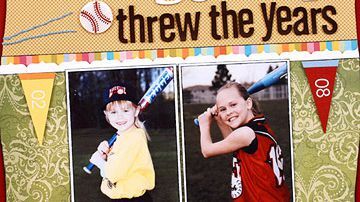 Check out these ideas for out-of-the-park baseball and softball scrapbook pages. 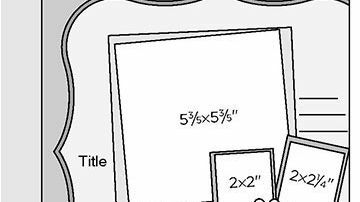 Capture memories of the all-American sport with T-ball, Little League, and Major League game layouts. 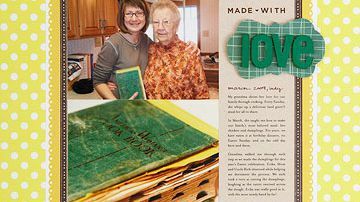 Rediscover your heritage through pages celebrating the love and memories that grandparents provide. 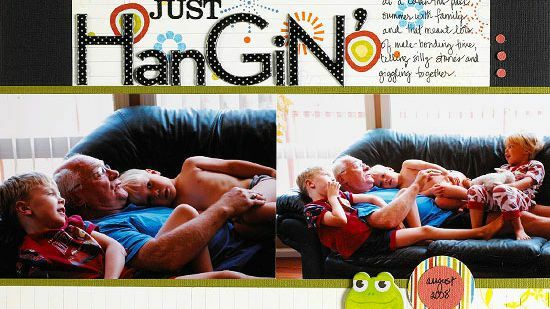 The layouts featured here are sure to inspire you to create your own cherished family designs. 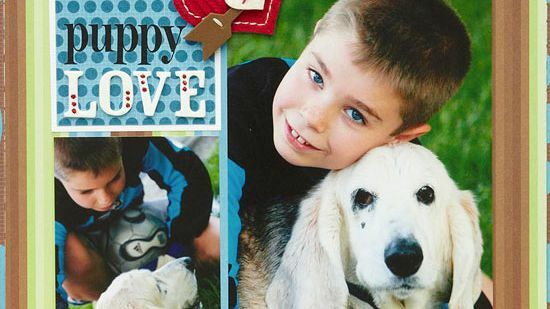 Celebrate the boys in your family with birthday scrapbook pages that capture all the presents, the cake, and the fun. Your pup is an important part of your family. 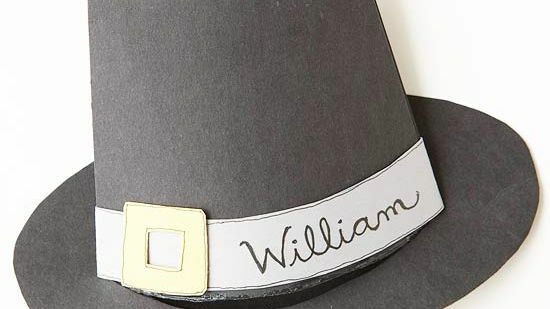 Use these fun ideas to also make him an important part of your scrapbook. 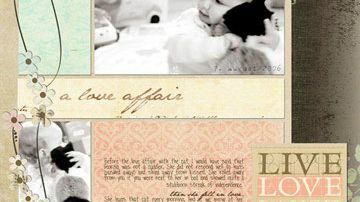 Create scrapbook pages in a flash with our free photo collage templates, design ideas, and tips. 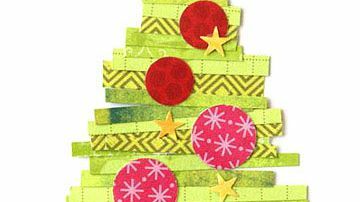 Embellish your holiday cards or scrapbook layouts with paper piecings for Christmas, Hanukkah, and more. 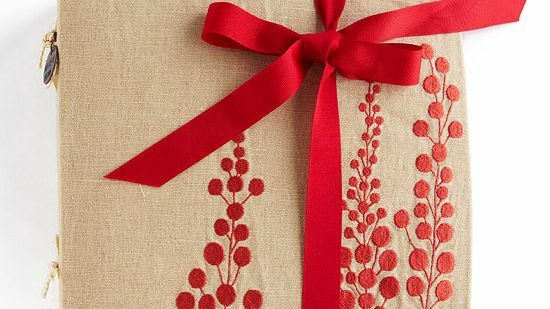 Download the free printable patterns for each motif. When the final strains of "Pomp and Circumstance" fade, the real fun begins. Check out these pages celebrating graduations from pre-k to grad school.